The Quest Eagles Peak 2 dome tent sleeps two people and features easy setup with two main poles and one fly pole. The HydraTek™ water repellent coating helps ensure users remain dry and comfortable in combination with the bathtub-style floor. In nice weather the fly can be removed for star gazing through the mesh roof panels. 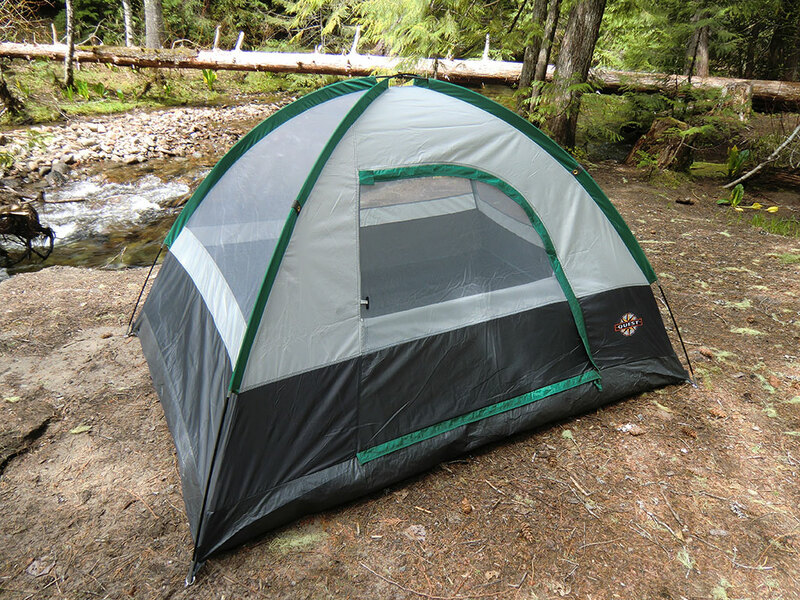 Mesh windows, a gear loft and one storage pocket round out this tent's amenities. Includes tent, fly, stakes, and storage bag. 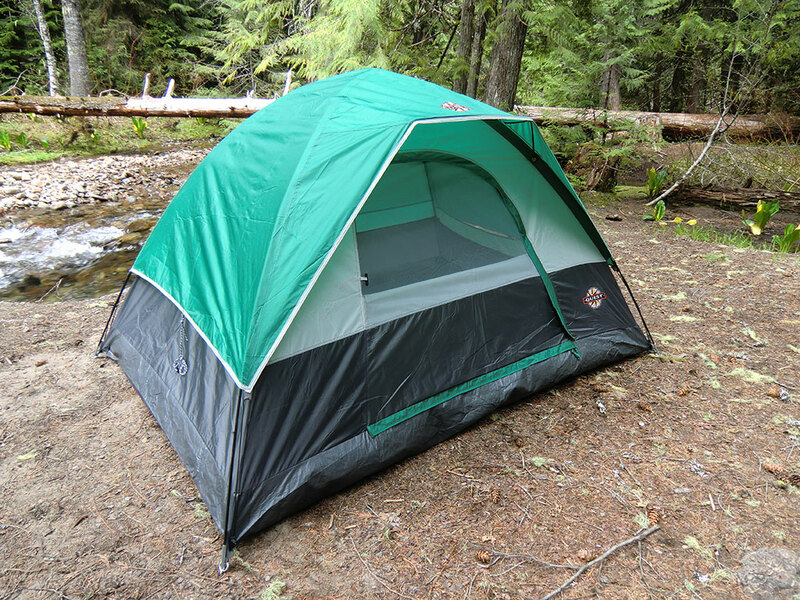 The Quest Eagles Peak 2 tent is small for a two person tent, but perfect for a one person tent. It sets up easily with one person, only requiring two poles for the main tent and a smaller pole for the rain fly. The rain fly has three attached guy-lines (two sides and rear) which allow for better airflow and a more secure pitch in windy conditions. I routinely use them in cooler and/or wetter conditions when condensation can be more of an issue. 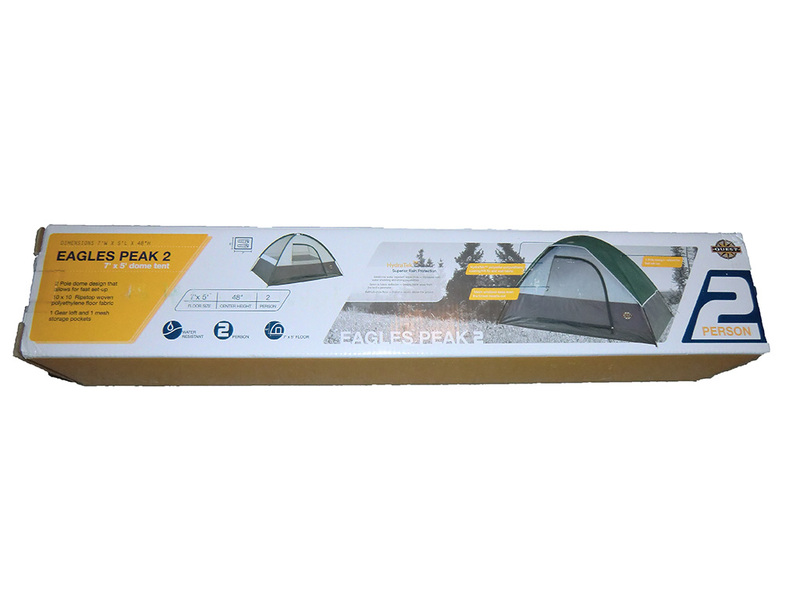 I have used the Quest Eagles Peak 2 tent with my wife and was able to fit a queen-sized air mattress inside. It was a snug fit and the mattress made the sides bulge out a bit. It also left no extra room in the tent. I would not recommend sleeping two when condensation might be of concern as you will be right up against the tent walls. For 3-season use in good weather, I have found the Quest Eagles Peak 2 tent works very well. It has held up to repeated use with minimal care. 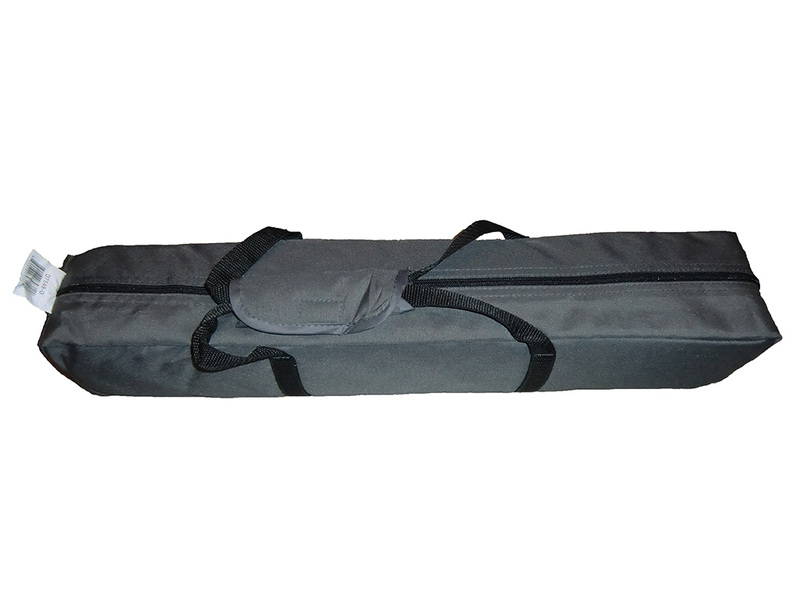 I have used it with and without a ground sheet, but recommend a groundsheet to prolong the life of the tent floor. In cooler weather, I have found condensation causes slight dampness at the foot and head of my sleeping bag, as the long length of my bag causes it to touch the tent at the ends. This is typical in any tent, but is easier to avoid in larger-sized tents. My only complaint with the Quest Eagles Peak 2 tent is that the seams are not factory sealed. Because of this, it leaks at the seam that joins the tent body to the tent floor where the rain fly does not offer protection. This can be remedied with seam sealer, which I highly recommend. See Barlow Creek, Deer Scouting, and Deer Hunting adventures where the Quest Eagles Peak 2 Tent was used. I recommend the Quest Eagles Peak 2 tent as an inexpensive one person tent for 3-season car camping. It provides protection from bugs and wind and works okay in the rain with proper seam sealing.